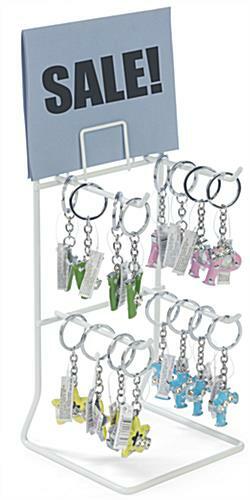 Save space and organize your counter with this white keychain display rack. 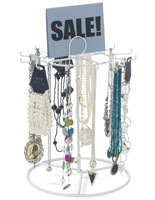 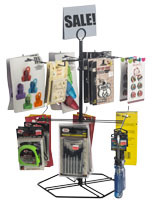 Use the store fixture stand to advertise products with the four hooks and attached sign holder. 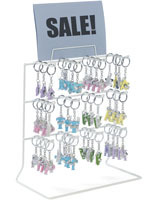 Each keychain display rack for countertops has two tiers with two pegs to hold a variety of merchandise. 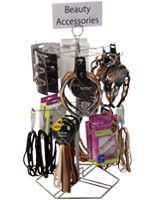 The hooks are 4.5” long with a .5” upwards curl on the end to keep products in place. 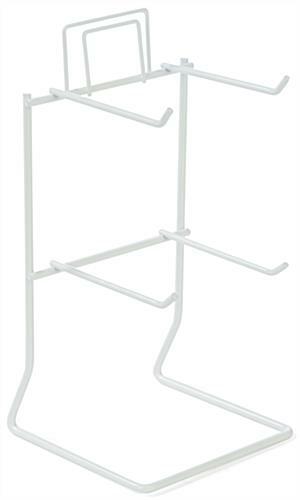 The powder coated stand looks great near registers or on any counter in your business. 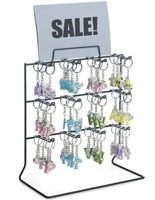 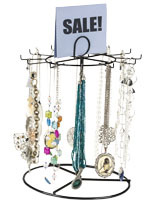 Use the store fixture keychain display to promote products such as jewelry, keys, and other keepsakes. 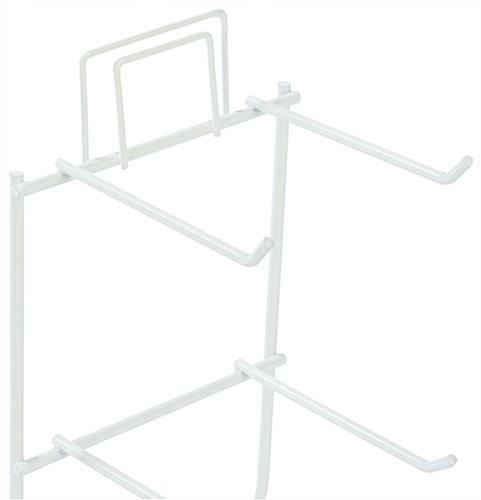 5.0" x 9.8" x 4.8"